We often shy away from this discussion these days, yet most of us practice one or more of these disciplines in our own lives, just as followers of Christ have done for 2,000 years now. We probably don’t think of our own activities as anything remarkable, at least in the academic sense, and yet they are the legacy left by those who have gone before us. What legacy will we leave for those who come after us? Will our children and grandchildren follow in our footsteps? That reminds to be seen, doesn’t it? I was talking to a preacher friend of mine yesterday, and he was telling me about a young pastor that he knows who wanted to get the “old” folks out of teaching and ministry leadership, in favor of younger people. Apparently, a lot of the older folks were only too happy to oblige, and that struck me as a very sad thing. Of course, we older folks need to let the young step up and take their leadership roles in hand moving forward. In fact, the whole process of making disciples includes training our replacements in ministry (we often forget that). Yet it is the obligation of every generation to give advice and guidance to the younger generations to help them to avoid the pitfalls and mistakes of the past, and to be quite honest with you, I don’t think we’ve done a very good job of that. I remember a time when the young generation did a whole lot of complaining about what they called the “generation gap”. Do any of you remember that? In those bygone days, the young looked upon anyone over 30 with suspicion, for how did we know that they could be trusted? So, we rebelled against the old “Establishment” and took on new hairstyles, as though the hairstyles of the Civil War era of 100 years before were something new. We dressed badly, we got high on anything and everything and threw out everything that was older than we. Our parents’ generation were out of touch, they didn’t know anything, and their traditions and ways were antiquated and obsolete, even though our parents held on with an irritating tenacity. We declared that we would never do that or say the old fuddy-duddy things they said. And now we’re the old ones, doing the same kinds of things we rebelled against 50 years ago. Scripture, both Old and New Testament, teach us that the older should mentor the younger, so that the younger can learn from the older. As the older ones, we need to realize that certain things must change, and the newer ones don’t need our musical criticism, nor do they need us lecturing them about the old worship styles and church calendars. 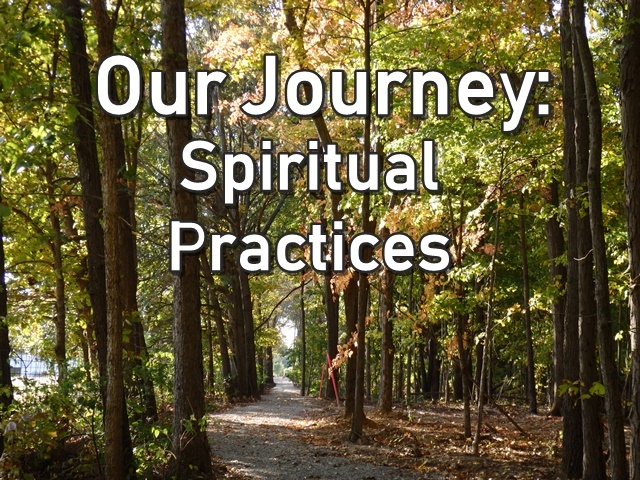 They sure need us to tell them about spiritual practices, however, for where else will they get them from? Worship and music and orders of service have changed countless times over the centuries, and they vary greatly from culture to culture, but the spiritual practices we have looked at do not; they have withstood the test of time. I don’t know about you, but I would have to say that if this is our legacy, our gift to the next generation, then it would be worthy of our calling as followers of Jesus Christ.